Whenever Matt and I eat steak, we do three things. We order it medium rare, we pair it with a bottle of red wine, and after eating we rank it in an all time leaderboard of steak. Matt of course has his own personal ranking, but here for all your viewing (and drooling) pleasure, is mine. Because I want to give you the best possible idea of both the restaurants in my list and the steak on their menu, I’ve used a combination of my own photos, photos from google, and instagram shots – all credited. First up in my big steak list is this delicious meat platter from Solar do Duque in the trendy Chiado neighbourhood of Lisbon, Portugal. We ate dinner here on our week’s holiday in the city (read more), after actually getting a recommendation for the restaurant next door. We didn’t realise our mistake until after we’d finished our meal! The platter we shared was piled high with little fried potatoes, thinly sliced ham, fried eggs, chunks of lemon, rice and olives, and of course, a huge portion of medium rare steak each. Left: The view from Rua do Duque. Right: Matt digging in. The best thing about Solar do Duque is the location. Chiado is on a hill on the other side of the centre from Castelo de São Jorge, so the views over the city and the castle are incredible. 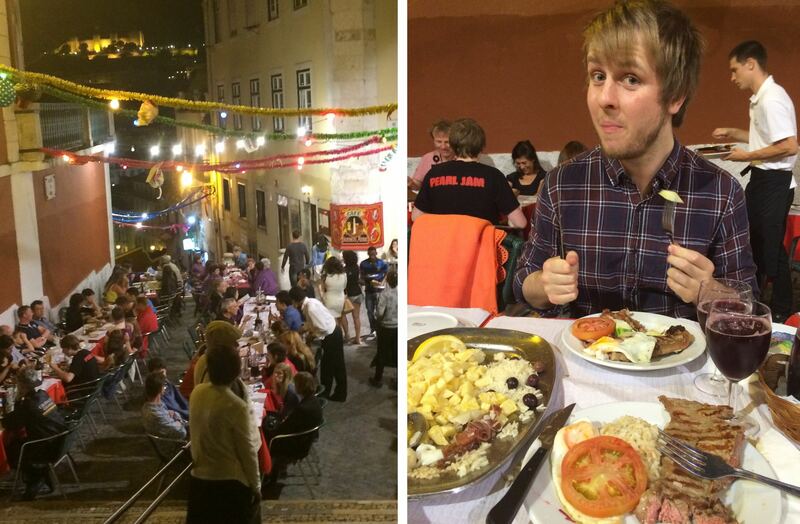 The restaurants on Rua do Duque all spill out onto the street, taking advantage of the balmy night air. Puigpunyent is a great place to visit if you find yourself in Majorca. The little village is a 15 minute drive from Palma, and nestles in a valley lush with olive and orange groves, neatly planted vineyards, and framed by the Tramuntana mountains. Its location makes it a favourite for cyclists, and the cafes and restaurants are often packed with brightly coloured lycra-clad bodies. 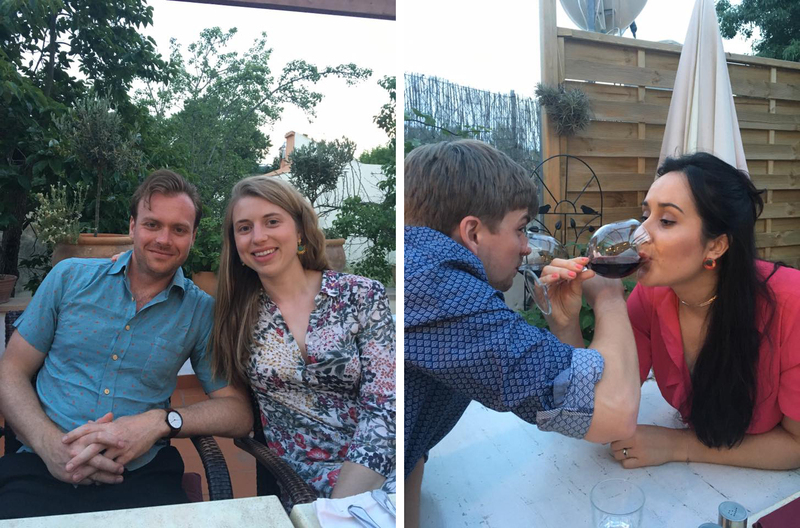 The Whiteheads have been on holiday to Majorca for 4 years running, and The Rose is our favourite restaurant on the island. We visited three years in a row and it’s been a highlight of the holiday each time. The Whitehead cousins getting excited about steak. One of the best aspects of The Rose is the patio out back, which they kindly reserve for us when we eat there. 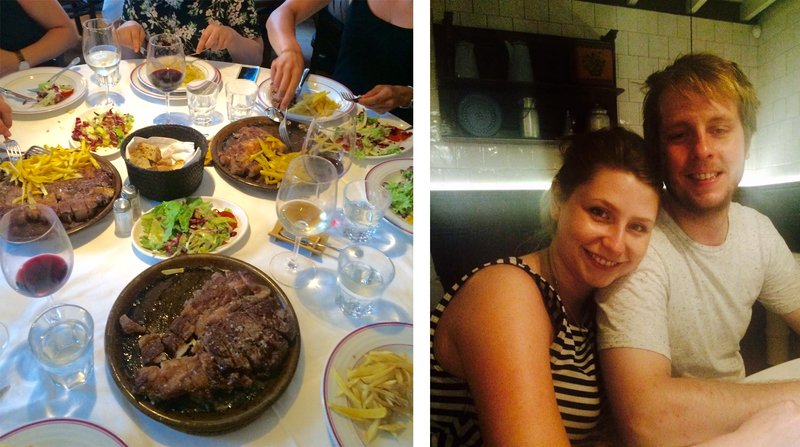 The vast majority of our group always get steak, and we’re never disappointed. This year’s Whitehead family trip was to North Cyprus. 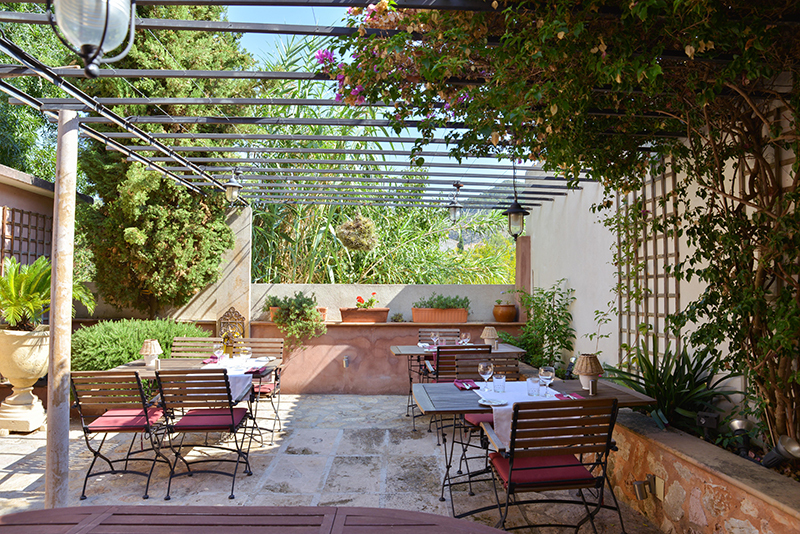 When we asked our villa host for restaurant recommendations, her number one suggestion was The Veranda near Kyrenia. 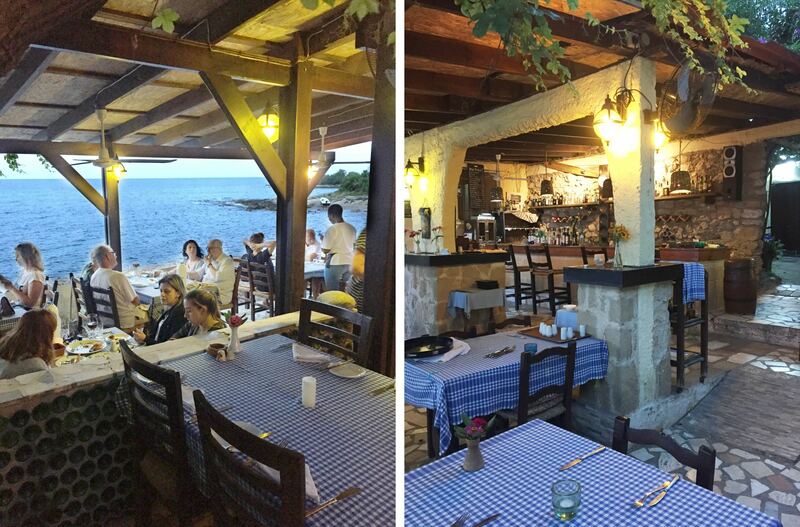 This charming little restaurant sits idyllically on the edge of the water, with leafy plants hanging overhead as you eat your meal by candlelight. The Veranda, Ünver Rıdvan Sk, Kyrenia, North Cyprus. The sacred asado is cooking in its purest form – just fire and grill for the finest Argentinian feast of melt in the mouth meat. In Buenos Aires, no weekend in truly complete without it. 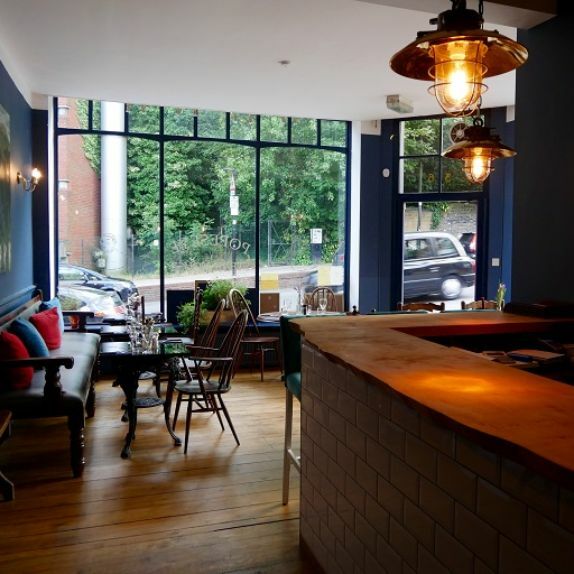 I’ve worked in Richmond for the last four years, so I’ve tried many of the restaurants in the area. 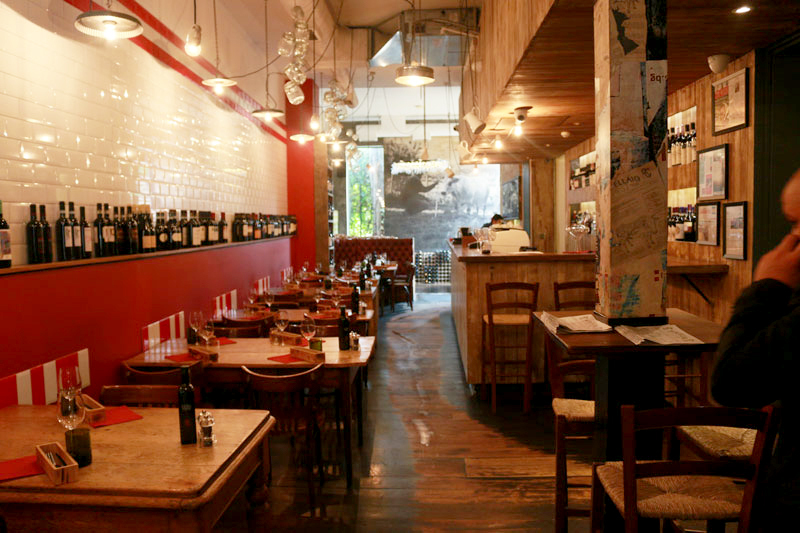 I think Buenos Aires is my favourite, and having been there a few times now I can tell you that the Chorizo Sirloin steak cooked medium rare with Malbec sauce on the side is the best thing you’ll order all year. The Original Popeseye Steakhouses in Olympia and Putney serve only the finest pure-bred grass fed Aberdeen Angus beef from the North-East of Scotland. All our beef is hung for a minimum of 28 days which gives it its distinctive flavour. We don’t oil our steaks before they grill, and you won’t find a sprinkle of salt or a splash of sauce anywhere near our beef, you simply don’t need it, the beef is that good! Popeseye Steakhouse is hidden on a corner halfway up Archway hill, but once you know it’s there you will feel its pull every time you pass. 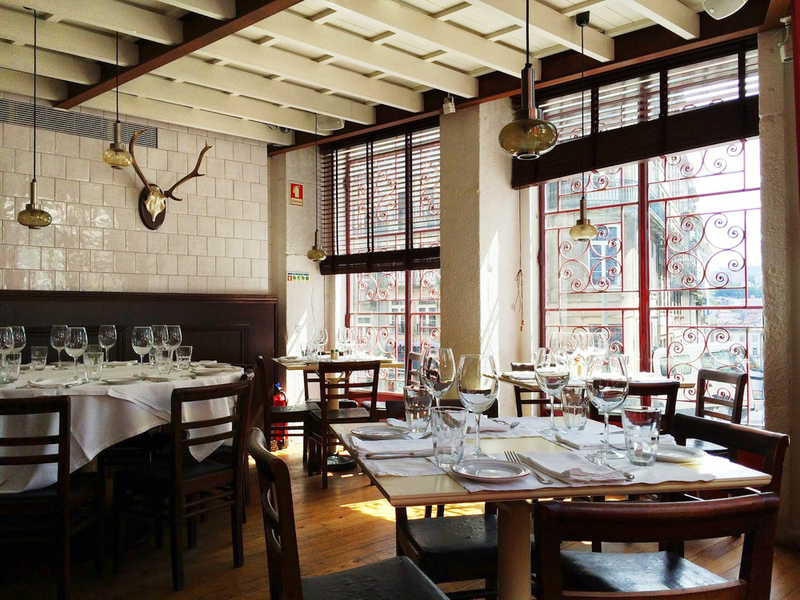 This cute little steakhouse feels like you’re dining in someone’s very trendy living room. Oh and good luck ordering vegetables in this temple of meat. We work with our own herd of rare and traditional breed cattle on the Flat Iron Farm in North Yorkshire as well as a network of small specialist farmers and butchers hand selecting their finest individual animals for us in order to source truly exceptional beef. 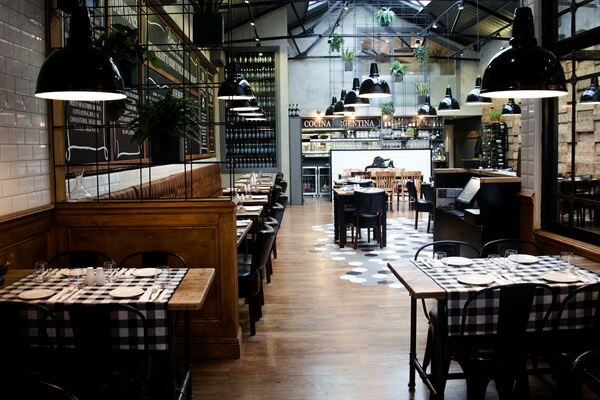 Flat Iron is a minimalist industrial-style steakhouse with only one main dish on the menu – the Flat Iron Steak. I had mine medium rare with peppercorn sauce, and shared a bottle of red wine, a side of roast aubergine and dripping cooked chips with Matt. 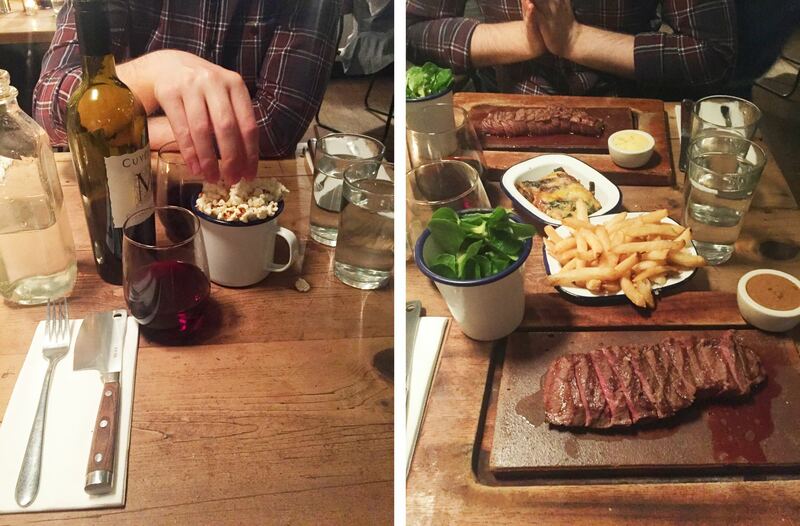 Left: Beef dripping popcorn while you wait. Right: Steak is served. Highlights other than the insanely delicious and perfectly presented steak would have to be the really cool flat iron knives you get to use, and the complimentary beef dripping popcorn. All our steak comes from the Fassona breed from some very special mountain valleys north of Genoa: every farmer knows the animal he sells us, every cut of meat is hung for the right amount of time, prepared with love and expertly cooked. 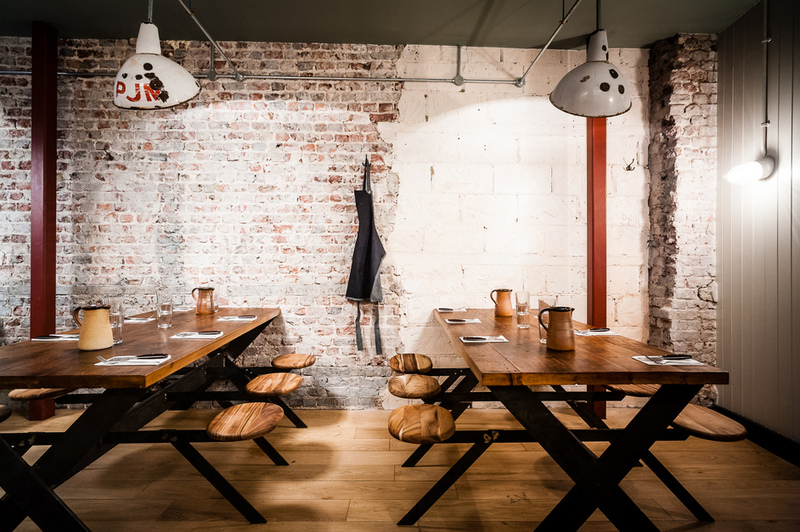 The Italian butchery with tables, Macellaio in Exmouth market is a place for meat lovers. They will cut your side of beef by 100g, and try to upsell you to the biggest slab possible. My advice would be, only go for the bare minimum of side dishes, and invest all your budget in a fillet steak the size of your head. And don’t forget the red wine. Il mio angolo di paradiso! Ho sempre avuto questo amore viscerale per la carne! Forse me l’ha trasmesso nel DNA il mio caro nonno, che ancora adesso quando ci vediamo e parliamo del più e del meno, e per caso me ne esco fuori con quanto costi uno smartphone o un paio di scarpe griffate , lui se ne esce con la sentenza “Beh ma ci potevi comprare un tot kg di carne”. Next up is a little place we ate at in Porto, Portugal, on a group trip a few years ago. I highly recommend it as a destination by the way – delicious food, cheap drinks, hot sun to bathe in and beautiful streets to explore. Despite the exhaustion from the hot day spent exploring Porto (can you see it on our faces? 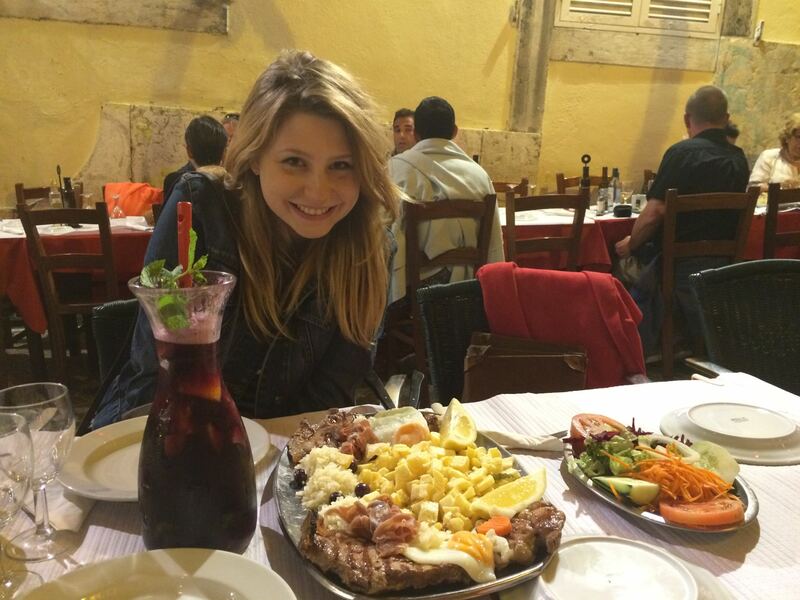 ), Traça managed to pluck up our spirits with some of the best steak I’ve ever had. 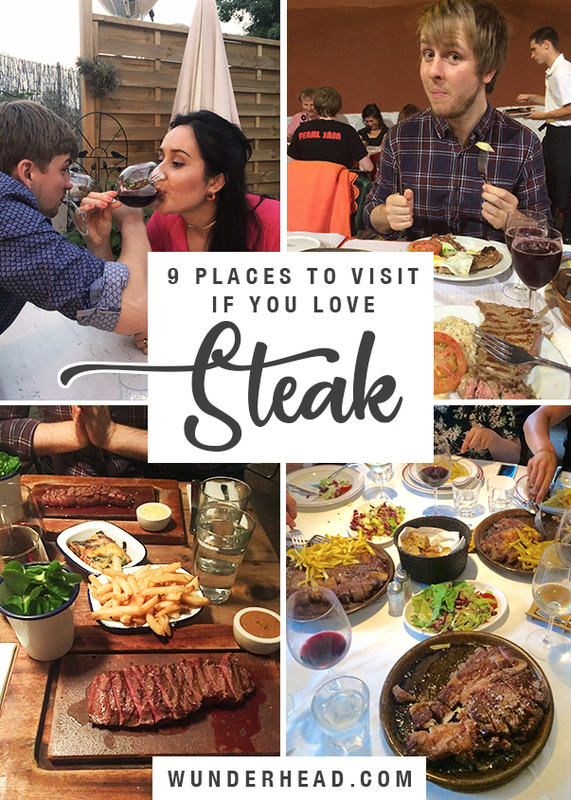 The only downside is that the steak needs to be shared between two people – perfect if you have an even number craving beef, not so perfect if you’ve got a lone vegetarian. 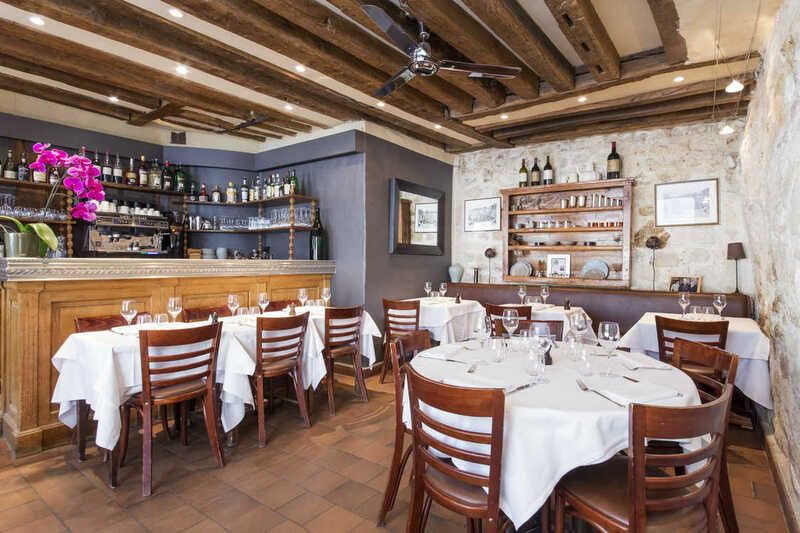 The île de la Cité in Paris is home to my favourite restaurant in the whole world – Le Caveau du Palais. It first earned this lofty title on a family visit, where I had literally the most tender, juiciest steak and the most buttery, flaky little roast potatoes I’ve ever eaten. When I brought Matt to Paris for the first time we ate our Valentine’s meal there, an experience I will never forget. We enjoyed five mouthwatering courses, featuring ingredients I would never normally order like mushrooms and shellfish, but which were redeemed beyond possible expectation by being drowned in butter, and paired with rich steak and perfectly seasoned avocado, respectively. So basically it was chart-topping 15 years ago, and it’s still chart-topping now. Do you have a steak leaderboard? Or at least a favourite steak restaurant? Share in the comments so we can all eat more steak!